Arriving New Zealand first week of January. 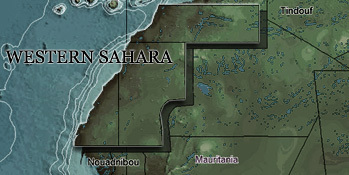 Another Greek bulk vessel is participating in the plundering of stolen phosphates from occupied Western Sahara. This, time it is called Navios Ionian, owned (or managed/operated?) by the Greek company Navios. 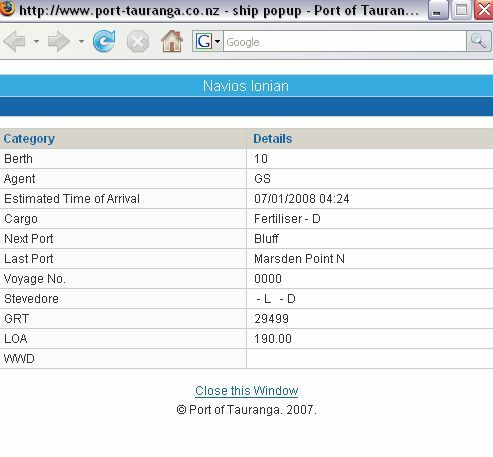 A bulk vessel called Navios Ionian is scheduled to arrive Northport, New Zealand on January 5th 2008. The vessel is scheduled to arrive Port of Tauranga (Maunganui) on January 7th 2008, continuing towards Bluff. Agent: GS. It is scheduled to arrive Bluff on January 12th.